CURE Childhood Cancer is increasing its impact into research that will develop effective treatments for the 20% of children not surviving current methods. In the past ten years alone, CURE has raised more than $35 million to fund cutting-edge research and provide critical support to families dealing with a cancer diagnosis. Our unwavering commitment is to find a cure for childhood cancer in our lifetime. To that end, CURE announces funding in excess of $4 million for our fiscal year 2017-2018. This amount includes our largest grant ever – a $1.5 million award for the development of the Aflac Cancer Center Precision Medicine Program. The program, which will be led by Douglas K. Graham, M.D., Ph.D., director of the Aflac Cancer Center and professor of pediatrics at Emory University School of Medicine, envisions personalized, non-toxic and curative cancer therapy for all children. In addition to the Precision Medicine Program, CURE is awarding another $1.26 million to projects at the AFLAC Cancer Center and $1.3 million at centers of excellence around the country. Correct! There was no internet or social media. We talked to each other. I mentioned rotary phones but lacked the Pictionary skills to make them understand rotary dialing. Another good answer. I explained the huge shoulder boom boxes but since they can store a thousand songs on a device the size of a quarter, it was lost on them. No, we had color tv’s but only three channels with no cable or satellite. Well, a man walked on the moon in 1969 but you are right, there has been a great deal of space innovation since. We’ve even sent a rover to Mars. I suppose so. I’m sorry, I don’t know what that is. Thus ended the question and answer portion of the presentation. When you think about it, the innovation of the last forty years has been staggering. Yet in some areas, it remains unbelievably stagnant. While we have made huge leaps of progress in the fight against many forms of cancer, there are still some childhood cancers that have eluded treatment advances altogether. I discovered this fact when my daughter was diagnosed with Ewing’s Sarcoma at the age of twelve. We were given a treatment protocol which I was told would have been nearly identical to what I would have been given had I gotten the same cancer at twelve. I am not quite as old as dinosaurs, but I was twelve in the 70’s and find it unbelievable that during this age of discovery, children are being left behind. There are various factors contributing to this sad fact. Although incidence rates are increasing, childhood cancers are still classified as rare compared to adult cancers such as lung, breast, and prostate. Funding from the government and large cancer charities lean heavily toward the cancers that affect more people without taking age into consideration. Yet our children are counting on us to do better. Certainly there are good doctors and researchers working hard to uncover safer and more effective treatments, but there is still a long way to go. That is why CURE is so vitally important. We focus our funding on projects aimed at improving outcomes for the 20% of children not surviving today’s methods of treatment. In addition, we fund projects for developing therapies that will preserve a child’s quality of life after treatment. We are very excited to welcome Dr. Douglas Graham to the Aflac Cancer and Blood Disorders Center of Children’s Healthcare of Atlanta, and introduce him to the CURE community. We enjoy a strong partnership with the Aflac Cancer Center, providing funding for promising research conducted by its researchers, annual funding of two fellows (soon to be three! ), and serving patients and families – often within its four walls – cared for its the skilled doctors and nurses. We are proud of and grateful for this partnership. In the letter below, Dr. Graham shares insight and his vision for the Aflac Cancer Center. We look forward to continue to work in partnership for the good of childhood cancer patients and their families and all who care for them. As the recently appointed Director of the Aflac Cancer and Blood Disorders Center at Children’s Healthcare of Atlanta, it is a privilege to become a part of the CURE Childhood Cancer family. Thank you for your remarkable support which has enabled the Aflac Cancer Center to become one of the premier centers in the country for children to receive every level of cancer care. Your financial support has been critical to our research to develop better cancer treatments, our fellowship program to train the next generation of pediatric cancer doctors and for our clinical care, which includes family emergency funds. Kristin Connor, CURE’s Executive Director, graciously provided me with this opportunity to give you a little more insight into care and research offered by the Aflac Cancer Center, and a few exciting programs that lie ahead. The Aflac Cancer Center has made enormous strides with support such as CURE’s, and our advances have been recognized nationally. Last year we were ranked by US News and World Report as the number one program in the state of Georgia to treat pediatric cancer patients and the number nine program in the entire country! We now have 80 pediatric specialists who are hematology/oncology/BMT faculty, and we are one of the five largest pediatric oncology programs in the nation. This is significant because we encounter every type of childhood cancer, and we are able to provide the most sophisticated care for the sickest of children with cancer, while simultaneously being a top-rated research center. We are a major referral center for the country, having cared for children from 43 states. We participate nationally in the Children’s Oncology Group (COG), which is a collaborative group of cancer doctors across the country who take care of more than 90% of all children with cancer in the US. Within COG, we have been selected as one of only 21 sites (out of 223 COG member institutions) to be given access to the newest of cancer drugs in early phase clinical trials through the COG Phase I Consortium. Our goal is to continue to offer new therapies through COG as well as to move new treatment ideas into the clinic developed by our cancer physicians and researchers. Some new research discoveries both in gene therapy and in new cancer drug development made by our faculty are the basis for new clinical trials which are planned to be launched in the coming year in brain tumors and in leukemia. Two examples of innovative therapies we have initiated at the Aflac Cancer Center are our MIBG program for neuroblastoma and our CAR-T immunotherapy program for relapsed childhood leukemia. We are one of the few places in the country to offer MIBG therapy, and the COG is including the Aflac Cancer Center as one of the treatment sites for an upcoming MIBG clinical trial. A new MIBG treatment room is being planned to accommodate this anticipated increase in patient referrals. The CAR-T therapy for relapsed leukemia involves harnessing one’s own immune system to combat cancer. In this type of therapy, immune cells (T cells) are taken from the leukemia patient and modified in cell culture to be able to seek out and kill leukemia cells. The Aflac Cancer Center is one of only a handful of centers in the country to be selected as a treatment site. This therapy is successful in offering hope to children with resistant leukemia who have no other treatment options resulting in cures not previously possible. Thank you, again, for your remarkable support of cutting edge research to cure more kids, and for your dedication to provide family centered care for kids with cancer. I look forward to continuing our strong partnership so that we can provide the best care possible for children with cancer, both today and tomorrow. 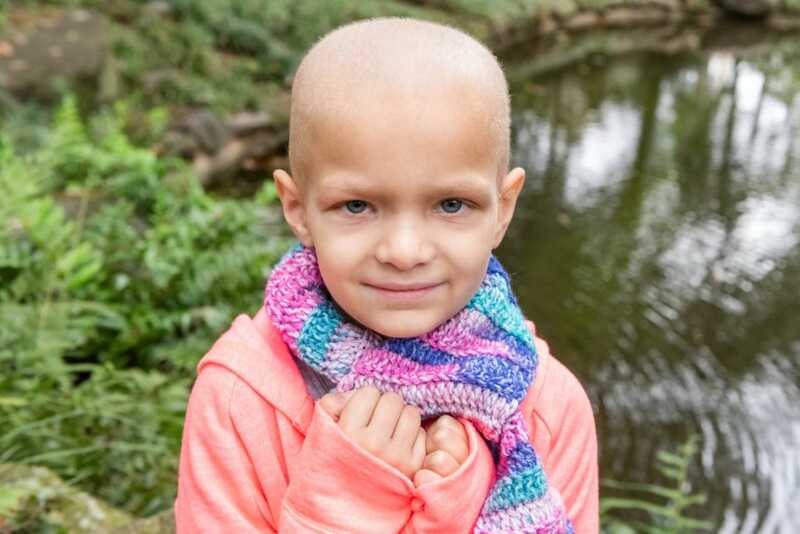 The Food and Drug Administration (FDA) has granted The University of Texas MD Anderson Cancer Center approval to proceed with a new pediatric cancer treatment, called the NOAH Protocol. This investigative treatment aims at reducing and eliminating several types of pediatric brain cancer. Children with recurrent refractory brain tumors currently have no therapeutic options, and unfortunately succumb to their disease. The NOAH protocol offers new hope for groundbreaking results. MD Anderson Children’s Cancer Hospital is expected to begin enrolling eligible patients in the new, Phase- I clinical trial in January 2015. The NOAH Protocol stands for “New Opportunity Advancing Hope” and is designed to deliver patients’ own activated immune cells (natural killer cells) directly to the tumor area in the brain. This immunotherapeutic approach will use cutting edge technologies to promote a paradigm shift in brain tumor treatment. The conceptualization and initiation of the study was due to the will of one mom (Amber Larkin who founded Noah’s Light Foundation) and the strength of one little boy (Noah Larkin), who fought long and hard, but unfortunately succumbed to medulloblastoma at the age of 9. They were joined very shortly thereafter by another mom (Amber Bender who founded Addis Faith Foundation) and one very little girl, Addison Bender, who lost her tenacious battle against ATRT at 2 years of age. Propelled by these families and their foundations as well as additional research support from CURE Childhood Cancer and other organizations, a multidisciplinary team of researchers and fund-raising specialists at MD Anderson worked very hard to translate their dreams of developing novel treatment approaches for children with recurrent/refractory fourth ventricular brain tumors, into reality. The team consists of neuro-oncologists, pediatric oncologists, immunologists/transplant physicians, neurosurgeons and basic neuroscience researchers. More information may be found at www.clinicaltrials.gov under the identifier: NCT02271711 or through the trial Private Investigator, Dr. Soumen Khatua at skhatua@mdanderson.org. A child can be cured of cancer and still not be well. Roughly 80 percent of children diagnosed with medulloblastoma – the most common malignant brain tumor in children – are cured. But the treatment that typically includes surgery, chemotherapy and radiation used to kill the cancer growing in a child’s still-developing brain itself often causes life-long damage. “The problem with current treatments is that most of those children are pretty severely neurologically devastated afterwards. 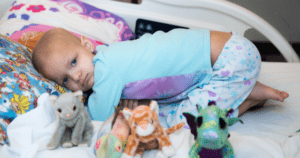 They are ‘cured’, but not really,” says Dr. Robert C. Castellino, a pediatric hematology/oncology specialist and researcher at the Aflac Cancer Center and Blood Disorders Service of Children’s Healthcare of Atlanta. Many survivors of medulloblastoma, a tumor that develops at the back of the brain, need assistance with activities of daily living such as feeding, bathing and dressing. This means that, often, there are no ballet recitals, no homerun trots at Little League baseball games. So, when he isn’t caring for young patients, with CURE’s funding, Dr. Castellino is conducting research he hopes will lead to a gentler cure for medulloblastoma. Dr. Castellino’s research focuses on the gene called wild-type p53-induced phosphatase — abbreviated as WIP1 and pronounced as whip one. “In essence, what I’m trying to do is to see why WIP1 seems to cause medulloblastomas in children,” says Dr. Castellino. WIP1 seems to disrupt the functions of another gene called TP53. The gene’s role in preventing and fighting cancer is well documented, Dr. Castellino notes. “p53 is probably one of the most studied genes for its role in cancer prevention, and cancer development when p53 is not working properly,” Dr. Castellino says. But for p53 to do its job, phosphates must attach to specific areas on the p53 molecule. High levels of WIP1 remove the phosphates from p53. High levels of WIP1 promote the growth of cancer cells, Dr. Castellino says. To advance his research, CURE has provided Dr. Castellino with a grant which will allow him to learn more about inhibiting WIP1 in specific models of medulloblastoma, known as “Sonic Hedgehog-activated” models. The goal is to study development of medulloblastoma that express high levels of the WIP1 gene. The CURE grant is helping Dr. Castellino determine if inhibiting WIP1 can suppress the growth of medulloblastoma. Castellino may also have a good lead on a treatment. “We have at least one compound that we found seems to prevent WIP1 from working and it seems to stop the growth of cells in a test tube,” Dr. Castellino says. Dr. Castellino has found that targeting a protein designated as Arl13b may be a more effective treatment for medullablastoma than current therapies. A second CURE grant is helping him explore this possibility. “Once compounds are identified that stop WIP1 from working and medulloblastoma tumors from developing and growing”, Dr. Castellino says, “I think we will be one step closer to finding drugs that can cure children of medulloblastoma, while preventing bad effects which keep medulloblastoma survivors from growing up as normal, healthy children”. As we reach the conclusion of the week dedicated to honoring the 5 year anniversary of the passing of Sam Robb, we wanted to share with you an interview held with Annamarie Robb, Sam’s mother. In this video Annamarie discusses how CURE Childhood Cancer supported the Robb family, how the Robb family continues to support CURE, and why it is important for CURE to continue to fund childhood cancer research. For more information on The Sam Robb Fund please click here. CURE Childhood Cancer is dedicated to conquering childhood cancer through funding targeted research. Currently, we’re supporting eleven specific projects, most of which focus on finding effective treatments for the 20% of kids who do not survive. As we wrap up the 2011-2012 year we wanted to spend some time in a series of blogs giving you a summary of the research initiatives that we helped fund throughout the year. In the past 12 months we have committed more than $1.2 million in research grants and believe it is important for all of us to understand the progress of these research initiatives. Below is a summary of Dr. Kelly Goldsmith’s research study and the progress that it has made in the past year. Dr. Goldsmith is conducting a study that addresses an important area of research in the mechanisms of tumor growth and treatment resistance in high-risk neuroblastoma, which may result in improved treatment strategies. It explores several areas, including the pathway that prevents normal regulated cell death (apoptosis), that allows tumor to continue its growth; and it seeks to characterize the regulation of an important genetic pathway causing chemotherapy resistance. Recently, the study was able to identify a protein (mcl-1) that is acting as a barrier to treatment, by promoting chemotherapy resistance. his work has shown that this protein is regulated or manged by another called EGFR, and suggests that treatments should target the regulating protein, EGFR. This has potential to improve success in treating resistance in relapsed tumors. It has also identified an important molecule, Bax, that is de-activated in these tumors, which leads to failure of apoptosis. Future work will try to characterize what causes that de-activation, and will look to ways to reverse that. The results of this research will be published in Cancer Research and the data is expected to be used for the Department of Defense Pediatric Grant application this year. Survival rates for childhood cancer have grown greatly over the last few decades thanks to many advances in pediatric cancer treatment. Today the majority of children diagnosed with cancer will become long-term survivors. Survivors can be at risk for developing health problems after cancer treatment. these health problems are called late effects and can include endocrine problems. An endocrinologist, or hormone doctor, treats diseases or health problems affected by hormones. Hormones are needed for normal growth, puberty, thyroid and adrenal gland function and to regulate glucose levels. Common hormone problems seen in childhood cancer survivors include: short stature, growth hormone deficiency, thyroid problems, problems with adrenal glands and early or late puberty. In a study of the Aflac Cancer Survivor Program the most common problems seen in survivors were endocrine. In this study almost 60% of survivors had a hormone related problem such as; poor growth, early or late puberty, low bone mineral density, thyroid problems or being over or underweight. Who Needs to See an Endocrinologist? Certain cancer treatments can put survivors at risk for developing endocrine problems. If your child is at risk for developing an endocrine problem because of their cancer treatment, they may see an endocrinologist during their survivor clinic visit. If your child begins to develop an endocrine problem your oncologist may send you to see an endocrinologist. The most common treatment associated with endocrine problems is radiation to the head or brain. This can damage the pituitary gland, located in the middle of the brain. The pituitary gland regulates growth through the production of growth hormone. It also produces hormones which regulate the thyroid and adrenal gland and regulate puberty. Damage to the pituitary gland can then cause an imbalance of these hormones. Radiation of the thyroid gland or ovary or testes can also disturb hormone balance. Only a few chemotherapies alter hormone production by damaging the ovary or testes. Diabetes mellitus can occur in survivors especially those who are overweight or being treated with steroids like prednisone or decadron. How Do I See an Endocrinologist? There are pediatric endocrinologists in most major cities. In the Aflac Cancer Center there are 2 endocrinologists available to see hematology and oncology patients. Dr. Briana Patterson follows patients who are treated for brain tumors and Dr. Lillian Meacham sees patients in the Aflac Cancer Survivor Program and the Aflac Endocrine Clinic. Because it is likely a survivor will have an endocrine problem the survivor program has an endocrinologist available during survivor clinic. Any survivor who is at risk for developing an endocrine problem will be scheduled to see an endocrinologist during their survivor clinic visit. It is hoped that this will be more convenient for the family. Seeing the endocrinologist during survivor clinic will save an extra trip for the family and allow labs to be drawn at the same time. This also helps improve communication between the survivor and endocrine doctors and nurses. What Will an Endocrinologist Do? The endocrinologist will want to know about your child’s health history and will ask questions about your family history including any family members who have had endocrine problems. She will do a physical exam including height, weight and calculate your child’s Body mass index (BMI). This will determine if your child is of normal weight, underweight, overweight or obese. She will also want to know how your child is progressing through puberty and will conduct a breast exam or testicular exam. This will help identify any problems with puberty and development. Usually the endocrinologist will order blood tests to check different hormone levels. She may also order a bone age which is an x-ray of the left hand and will show how your child’s bones are maturing. Most hormone problems can be treated by giving hormone therapy. Some therapies are pills, some are shots, some are patches and some are nasal sprays. If your child is placed on an endocrine treatment they will need regular follow up to monitor the dose of the hormone therapy. Most hormone treatments are long-term if not life-long. To learn more about childhood cancer survivorship visit www.cancersurvivorlink.org or www.choa.org/cancersurvivorship. Last year, CURE Childhood Cancer awarded more than one million dollars in new research grants to scientists at the Aflac Cancer Center and Blood Disorders Service of Children’s Healthcare of Atlanta and Emory University. One of the award recipients was Kelly Goldsmith, an MD in Pediatric Hematology/Oncology at the Aflac Cancer Center. Dr. Goldsmith is a graduate of the University of Alabama Birmingham School of Medicine and completed her residency, fellowship and early attending years at The Children’s Hospital of Philadelphia, the premier neuroblastoma research center in the country. She joined the Aflac Cancer Center in 2009, after giving a lecture as part of the center’s Research Seminar Series and meeting with the staff. “Children’s was the perfect place and fit for me as both a physician and a scientist,” said Dr. Goldsmith. “One thing I really like about being here is the drive to translate from bench to bedside. I think that is such a huge focus, and here they are really trying to make that a reality.” Goldsmith continues to focus on neuroblastoma research at the Aflac Cancer Center, where her laboratory is working on determining how and why certain cells become resistant to chemotherapy, develop profiles of these cells and then develop alternative treatment options—bringing better drug therapies and hope to those with the most high-risk, difficult to treat types of tumors. Neuroblastoma is the second most common solid tumor among children after brain tumors. While a low-risk tumor is highly curable, high-risk neuroblastoma tumors kill more than half the children suffering from the disease. “Children are most likely to die from recurrent disease because the cancer becomes resistant to chemotherapy,” said Dr. Goldsmith, who is also Assistant Professor of Pediatrics at Emory University’s School of Medicine. “For this particular tumor, we have to figure out a better way to make the children chemotherapy- sensitive again, or to therapeutically target the tumor without harming normal tissues,” she continued. Goldsmith and her team are working to identify the causes of chemotherapy resistance in neuroblastoma and test new treatment options. By screening tumors to determine optimal options of treatment and using combination therapies with these findings, ideally, goldsmith can help develop a less toxic and more tumor-specific therapeutic option for children with highly chemo-resistant solid tumors. Goldsmith’s work is concentrated on the study of a family of proteins, BCL-2, which can either promote or prevent the programmed cell death (known as apoptosis) that is triggered by chemotherapy. Dr. Goldsmith’s research has found that BH3-only proteins can trigger apoptosis, and she and her team have determined that small chains of amino acids called BH3 peptides can mimic these proteins and kill neuroblastoma cells in test tube cells and mice. The goal of her work is to continue to isolate these cells in order to determine which drugs are best used in neuroblastoma treatment. “But establishing the effectiveness against cancer cells in test tubes and live test subjects is just the first step in treating children with this disease,” said Dr. Goldsmith. 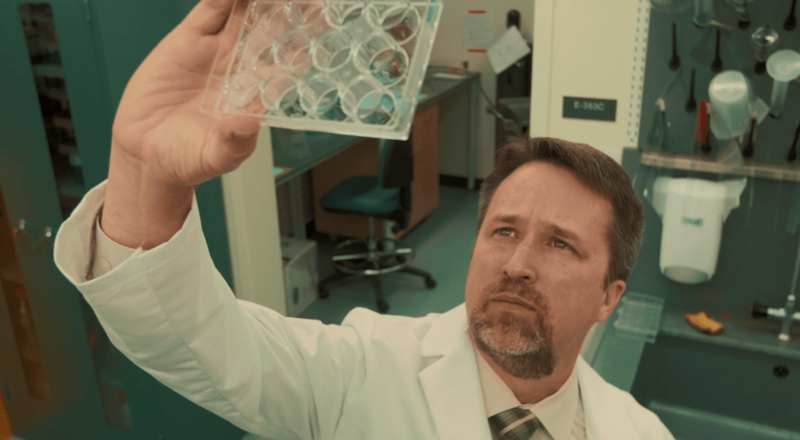 “The next phase of research requires fresh neuroblastoma tumor tissue, but demand is extremely high for the limited tissue available, so new techniques are needed to reduce the demand of tissue needed for experiments.” In order to address this need, Goldsmith worked with colleagues to adopt an improved method for screening and selecting human tumor samples used in their research. However, she needed expensive laboratory equipment in order to use this new method in her research. Enter CURE, whose funding allowed goldsmith and her team to purchase a BIOTEK multiwell plate reader, which is crucial to carrying out this new method for identifying tissue samples as well as many additional planned studies and experiments. “Because of CURE’s generosity and this new reader, I can focus on how effective these BH3 peptides are in killing neuroblastoma in actual human cells,” said Goldsmith.